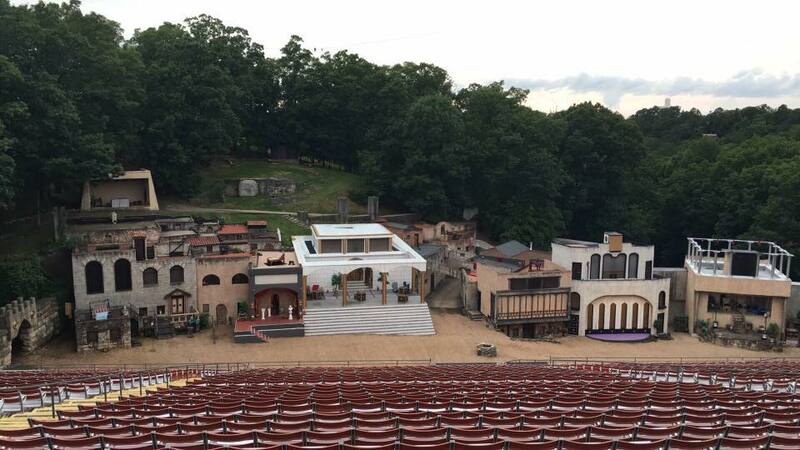 Every seat in the amphitheater is close enough for you to experience The Greatest Story Ever Told in a way you've never seen it before! 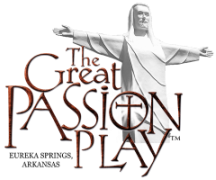 There is no assigned seating at The Great Passion Play. You get to sit in the seat that you want! First-come, first-seated. Every seat gives you a different vantage point and all of our stadium seats have backs. ​Oftentimes people who have seen the Play before, when they sit in another seat, see things that they have never seen in the Play before. 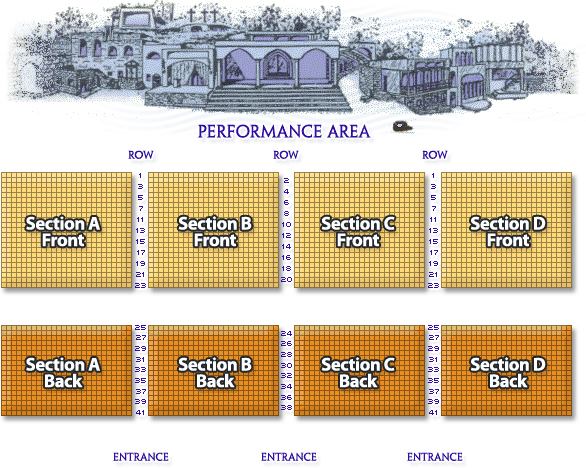 For first-timers, it is good to sit as close as you can so you can feel an even greater part of the experience. However, sitting in the back allows you to see how BIG everything really is!